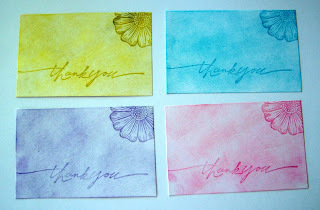 I recently needed some quick and simple thank you cards so I whipped these little notes up using versa mark and chalks. 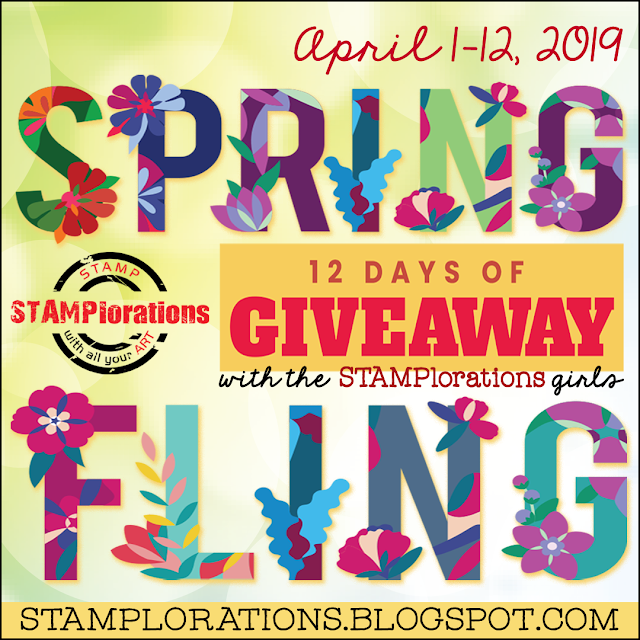 You simple stamp your images with versa mark and then chalk over the entire area with your choice of colors. The versa mark makes the stamped image appear on the paper. Oh wow, these are beautiful! The colors are lovely and would make anyone smile :) Have a great Labor Day! Neat Technique. I make such a mess with chalks. 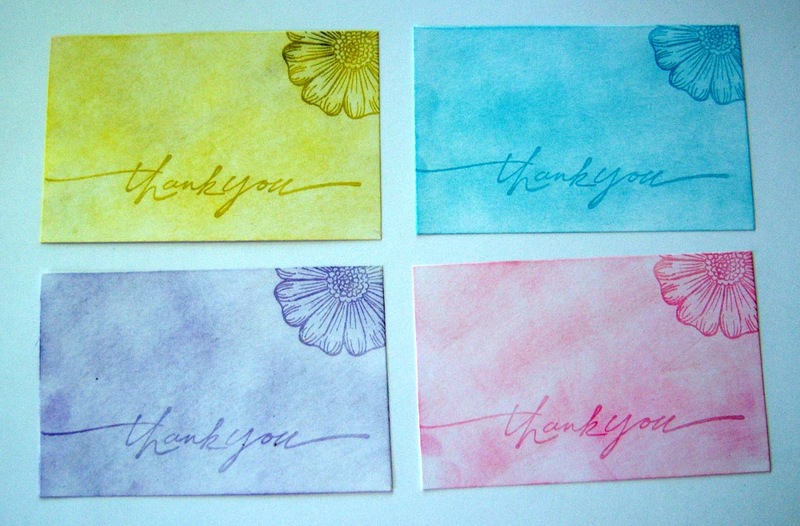 Simply lovely note cards, beautiful colors! They're so pretty! I love the way you shaded them. Such a lovely set! My chalks don't get much use (I forget to pull them out! ), so you are inspiring me! Love the backgrounds on these notes too!